Harry Williams may only be 22-years-old but he already has two seasons of professional football abroad under his belt. The two years he spent playing for Sacramento Republic saw him go from playing in National League North to taking on international players in front of big crowds on a weekly basis. He may have taken his game to the next level in the States but it was developed a lot closer to home. “Progressing through the Cheltenham Town academy and growing up with the team at my age group was great. We had some really good players who also managed to make the first team,” says Williams. Having joined the League Two club as a nine-year-old, Williams made his professional debut for Cheltenham when he was introduced as a substitute in a 3-0 win over Morecambe in 2013. Having spent such a large part of his life growing up in the academy, it was an extra special moment for the Cirencester born forward. He went on to make a further four appearances for the first team that season, after a brief spell on loan at Farnborough, as his side went on to avoid relegation. He started three of those games at the end of his first season in senior football and went on to be named as Cheltenham Town’s Young Player of the Year after his first team breakthrough and prolific campaign for the youth side. The following season, Williams made a further seven first team appearances as he continued his breakthrough and he would also score his first ever senior goals as he scored five times on loan at Southern League side Evesham United and further three more on loan in National League North with Gloucester City. Another loan spell with Gloucester City followed the next season and despite impressing on loan scoring four times, he would not appear for his parent club again, not that it took the forward long to sort out his next career move. Buckle had been in charge of Cheltenham during Williams’ second season in the first team at Whaddon Road and it was the former Colchester United player who would give his former protégé the chance to kickstart his career overseas. Williams, who describes himself as a creative player who likes to keep the ball, officially signed for Sacramento Republic in February 2016 ahead of the club’s third campaign in the USL, a competition which the club won in its inaugural season. With Buckle set for his first full season in charge, hopes were high that the Republic could return to the heights of their first season and with Williams quickly settling into his new environment, he was set to make a big impact. “I settled fairly quickly,” he says. “It was my first time away from home so it was a bit of sink or swim situation. 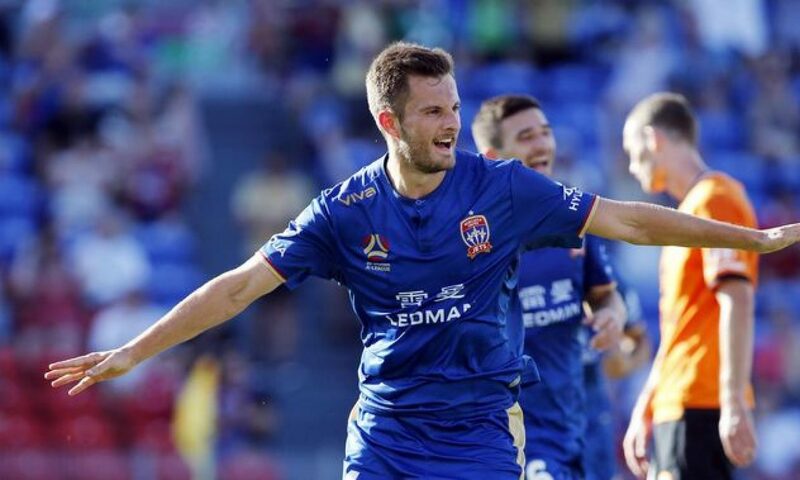 The former Cheltenham man went on to make 23 appearances on his debut campaign in the States, after recovering from an injury picked up in pre-season, scoring four times as his side won the Western Conference. They would go on to lose in the playoff quarter-finals but his first season abroad was an overall positive experience for Williams, as he took the increase in playing level to USL standard in his stride. The following campaign would prove to be not as successful for Sacramento as they finished eighth in the Western Conference and again lost in the playoffs. For Williams personally, it would also be a more difficult season as he scored once in 18 appearances, albeit 15 of those were from the bench. Despite that, his time abroad is still looked back on fondly. After leaving the States, the 22-year-old returned home earlier this year to join one of his previous loan clubs Gloucester City on a permanent deal, where he still plays now. The club, nicknamed the Tigers, have lived a nomadic existence since 2007 when their Meadow Park ground was flooded and have since played home games at the grounds of Williams’ former sides Cheltenham and Evesham. The forward’s time in the States was certainly an eye-opener and he is now focused on returning to the same level once again. “Things can change so quickly in football,” he says. “I was happy at Sacramento but things changed. Right now I’m happy at Gloucester City and fully focused on regaining full fitness and helping them up the league and I’m also excited at the prospects of the club getting back to the city. Williams has already proven in the past he is adaptable to change with the way he made the transition to USL football look easy and you wouldn’t put it past him making the step-up once again.